Symbolic to all the success we have acquired in the industry, remains our status as a prominent enterprise engaged in offering premium quality gamut of Universal Bed Type Plano Miller Machine. Cross Travel (Y) : 700 mm, Vertical Travel (Z) : 600 mm, With Huron ISO 40 milling head which can work vertical, horizontally, universally. We are offering Bed Type Vertical Milling Machine to our clients. Other Information: - Huron-type Vertical head. 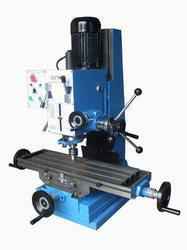 Milling Machine is manufactured using best grade materials and is available in various sizes and shapes of cutters. 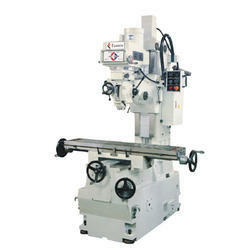 All these milling machines are effective in operations and are easy to maintain. The range of milling machines are outfitted with advanced features and is rapid in their operation.